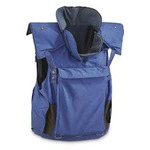 HQ ISSUE Men's Concealment Vest, sz 5XL, looks new. UN Military Surplus Kevlar Vest, canvas and nylon shell, front, back, neck, throat, shoulder Kevlar soft plates,2 flap mag pouches, used. 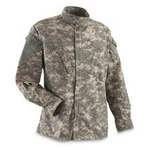 Military Surplus Fire Resistant Jacket, cotton treated with Pyrovatex fire-resistant treatment, 2 zippered chest pockets, elastic cuffs and waist, sz med, like new. 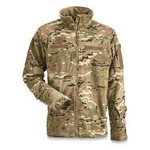 U.S. Military Surplus Fire Resistant IWOL Jacket, USA, Intermediate Weather Outer Layer (IWOL), OCP (Operational Camo Pattern) Multicam,Intermediate weight Nomex blend won't burn or melt, zip shoulder pocket, sz XL, looks new. 2 Pair French Military Surplus Pants, CCE Camo, XL, reinforced knees, zip fly, button waist, 2 snap waist cargo pock, new. 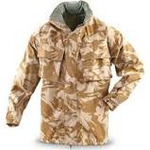 British Military Surplus GORE TEX Desert DPM Jacket, made in United Kingdom, GORE-TEX waterproof and breathable, full zip front with storm flap, chest pockets with gusseted flaps, adjustable cuffs, hood folds into collar, very good quality, sz XL, new. British Military Surplus GORE TEX Desert DPM Jacket, made in United Kingdom, GORE-TEX waterproof and breathable, full zip front with storm flap, chest pockets with gusseted flaps, adjustable cuffs, hood folds into collar, very good quality, sz L, new. 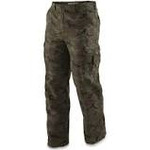 British Military Surplus Men's Desert DPM GORE-TEX Pants, sz XL, made in Great Britain, GORE-TEX waterproof, Desert DPM Camo, fits over pants, new. U.S. Military Surplus Malamute Fleece Jacket, U.S. Military Extended Cold Weather System, polyester fleece construction, three large pockets, sz L, looks new. U.S. Military Surplus Malamute Fleece Jacket, U.S. Military Extended Cold Weather System, polyester fleece construction, three large pockets, sz XL, looks new. 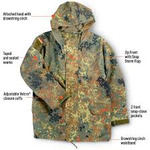 Master Sportsmans Parka, waterproof membrane, insulated hood, six pockets, storm cuffs, full front zip with storm guard, mens sz L, new. 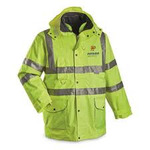 Municipal Surplus Waterproof Contractor's Jacket, outer shell and liner jacket, Rip-Tek tear-resistant fabric, waterproof Activ-Dri breathable technology, phone pocket, 2 large patch pockets storm flap with concealed pocket, detachable hood, mens sz XL, new. USMC Military Surplus Men's Sweatpants, sz L, and Guide Gear Men's Cargo Sweatpants, sz XL, new. 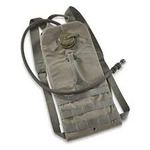 U.S. Military Surplus Hydration Carrier, made in USA, 3 liter bladder, heavyweight nylon, adjustable shoulder straps with waist belt, 36" tube with bite valve, new. frogg toggs Men's All Sport Waterproof Rain Suit, driPore breathable waterproofing, adjustable hood can roll up & store in collar, adjustable-waist pants, djustable leg openings, elastic cuffs, mens sz XXL, new. German Military Style ACU Uniform Jacket, 50/50 polyester/cotton ripstop, full zip front, and U.S. Army Surplus BDU Jacket, USA, reinforced elbows, bicep cargo pockets, chest pockets, both XL, like new. 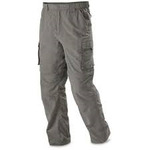 Pair of 5.11 Tactical Men's Apex Pants 40x 30, and Guide Gear Men's Outdoor Cargo Pants, 40 x 30, new. Large lot of Military Clothing, items including air force tunics, naval work bibs, BDU trousers, M83 field caps, US mili combat caps, wool blend navy sweater, rip stop ditty bags, WD sleeveless dress shirts, air force jackets, camo tank tops, Ike style jackets, coyote LS shirts, US mili 5 button sweaters, US mili army combat shirts, ect, most items like new, approx. 50 items. Large lot of Military Clothing, items including Navy coveralls, gray lined parka, alpenflauge shorts, cotton canvas work shirts, cotton field shirts, air force tunics, OD work shirts, Ike syle jacket, 5 button sweater, goretex gaiters, wool blend pants, BR police anorack, ect, most items like new, approx. 55 items. Large lot of Military Clothing, items including mili LS shirts, S/S class A shirts, hospital blankets, 10 pack briefs, coyote cargo pants, middy white shirts, OD raincoat, wool berets, OD Ike style jacket, usaf pt pants, brstd trench coat, mechanics coveralls, tanker coveralls, double breast trenchcoats, combat pants, work jacket, ushanka hat, l/s service shirts, ect, most items like new, approx. 41 items. Large lot of Military Clothing, items including uscg BDU RS shirts, sevice shirts, gb royal mail polos, marine cotton robes, combat pants, usmc caps wd, GB police bdu shirts, mili style caps, digi camo t-shirts, civ security shirts, mechanics coveralls, us mili cadets band hat, us Ike style jackets, OD rainsuit, naval work jackets, rain capes, ect, , most items like new, approx. 61 items. Lot of 3 Chinese Military Surplus Sherpa Mukluk Boots, 1,000 denier cotton canvas, water resistant, adjustable nylon straps, sz 9, look new. 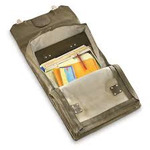 5 Pack Swiss Military Surplus Attache Cases, weather resistant rubberized vinyl, flap top with double buckle. 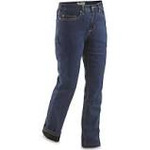 Guide Gear Women's Quilt-Lined Shirt, sz L, and Guide Gear Women's Fleece-Lined Jeans, sz 12, new. Lot of 3 Guide Gear Women's Long Sleeve Mock Turtleneck Shirts, sz XL, look new. Dickies Mens Bib Overalls, sz 50 x 32, new. 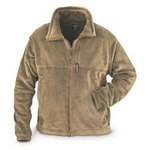 Guide Gear Men's Fleece Lined Canvas Shirt Jacket, polyester fleece lining, full-snap front, sz XL, blem, like new. French Military Surplus Trigger Mitten Gloves, and Chinese Military Surplus Ushanka Hat, has blem. Guide Gear Men's Zip Off River Pants, sz 38 x 32, and Under Armour Men's Tech Short-Sleeve T-Shirt, XL, new. Dickies Mens XL T-Shirt blem, and Carhartt Men's Workwear Pocket Sleeveless Shirt, both sz L, new. 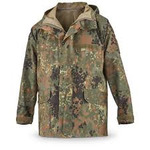 German Military Surplus GORE-TEX Waterproof Flecktarn Field Jacket, and German Military Surplus GORE-TEX Flecktarn Camo Field Pants, both sz L, like new. 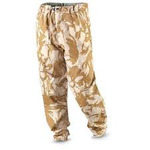 Mil-Tec Military-Style German Flecktarn Commando Pants, sz L, new. Guide Gear Men's Insulated Guide Dry Snowmobile Gloves, L, like new. 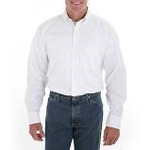 Wrangler Men's George Straight Long Sleeve Twill Shirt, sz XL, Guide Gear Men's Turtleneck Long-Sleeve Shirt, sz 2XL, new. 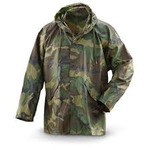 U.S. Military Surplus Waterproof Rain Parka, sz Lg, new.